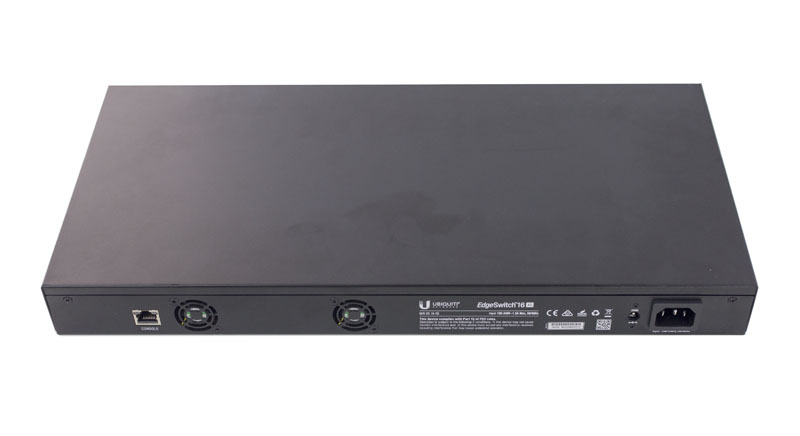 Today we are reviewing a product we are extremely excited about: the Ubiquiti EdgeSwitch ES-16-XG. 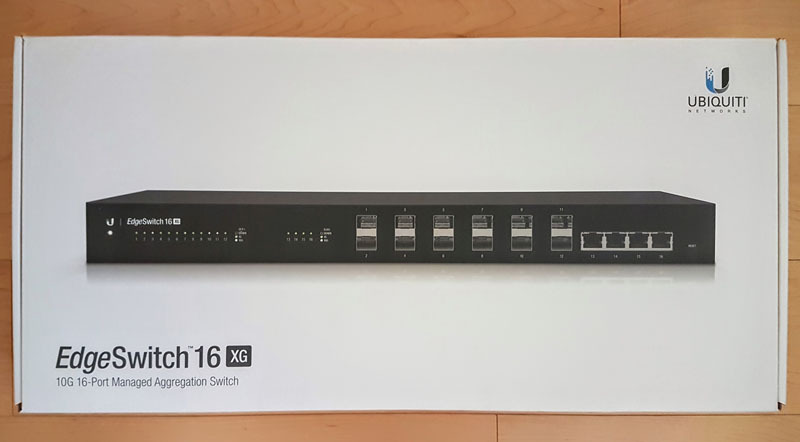 The Ubiquiti EdgeSwitch ES-16-XG is a sixteen port 10GbE switch that combines both 12x SFP+ 10GbE ports along with 4x 10Gbase-T ports. With low power consumption, “not too loud” operation, class leading pricing and an easy-to-use web based management interface the Ubiquiti ES-16-XG was poised to be an awesome product. Alas, we found shocking quality control issues with the unit we purchased. 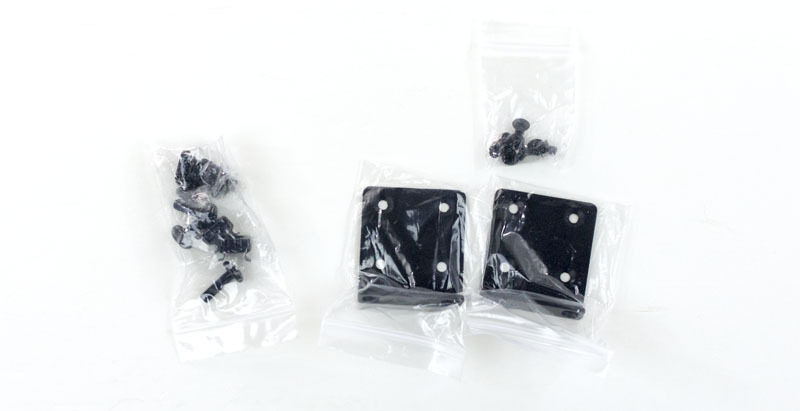 We do think that these quality control issues can be fixed and a V2 product may be a complete category killer, but anyone looking to purchase this product early on should keep reading. Soon after finding the Ubiquiti ES-16-XG on Amazon (see here), and seeing Prime shipping noted, we acted immediately. Another source we were on back order with had an ETA of September 23 and here was the product one month earlier. Of course, that did not come without a catch, the unit was $699.99 or about $100 more than the $599 MSRP. Still, this is a product we have been eager to get in the lab for some time. At $50/ 10GbE port, this is less than half the price of most other 10GbE solutions. An extra $10.99 for overnight shipping (which Amazon/ FedEx botched) and we had the Ubiquiti ES-16-XG in hand. The box came in a typical outer box from Amazon, crushed paper to fill empty space and then the Ubiquiti box inside. The Ubiquiti box was still factory sealed and did not have a single stress wrinkle in the cardboard. Inside the unit was suspended by foam on each side of the switch. Looking at the packing, nothing seemed to be damaged. Inside we found not just a power cable, but also rack ears along with cage nuts/ bolts. At this point, we were extremely excited to potentially use this switch in the STH data center lab. Having rack ears and cage nuts/ bolts inside the box is a really nice touch. All of this excitement quickly subsided once we pulled the switch out of its safe cardboard and foam enclosure. As we looked at the ports, something immediately looked off. The SFP+ cages and RJ-45 ports were all over half a centimeter away from the front of the chassis. Underneath the unit we saw a major gap on flanges that were meant to keep both the top and bottom parts of the metal housing together. You can see by the fingerprints, we did make an attempt at relieving pressure to get the unit to fit properly to no avail. Looking at the rear of the unit, the two screws to fasten the top and bottom together from the rear were screwed in but there was a large bulge and gap in the middle of the switch. The screws were black and did not have any signs of wear on them. It seems as though the factory installer decided to continue screwing these in without completely fitting the case. As we started to rotate the unit, we were shocked. The sheet metal was being bent between being screwed in the rear and the not fully closed flanges on the front side. That caused the fairly stiff sheet metal to bulge not just along the gap in the rear, but actually deformed the rest of the bottom shell. Send the unit back to the seller and hope they took the return. We did open the sealed box and there was no damage to the Amazon or Ubiquiti boxes so this was an obvious factory issue. Open the unit up and try to fix it. Since this is STH, choice 2 was the only possible solution. Also, ordering from another seller likely would have meant another month of waiting. As we opened the unit, we did see one of the SFP+ cages deformed. Being fair, SFP+ cage metal is thin and soft. 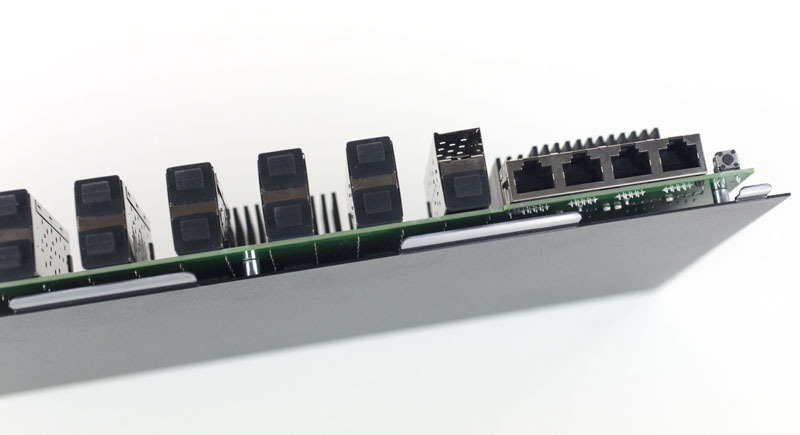 You will often see second-hand data center switches with some bending/ wear on the SFP+ ports. Port 11’s SFP+ port was clearly bent to the point it would not accept a SFP+ optics/ DAC. Inside the Ubiquiti ES-16-XG we see a fairly simple PCB that appears well laid out. One can see the four RJ-45 ports do require extra components. You can also see the two small fans which are quiet but they are smaller than standard 1U fans. The internal power supply is certainly a step up from some low cost switches (e.g. the MikroTik CRS226-24G-2S+RM with an external power supply which makes no sense in a rackmount enclosure.) 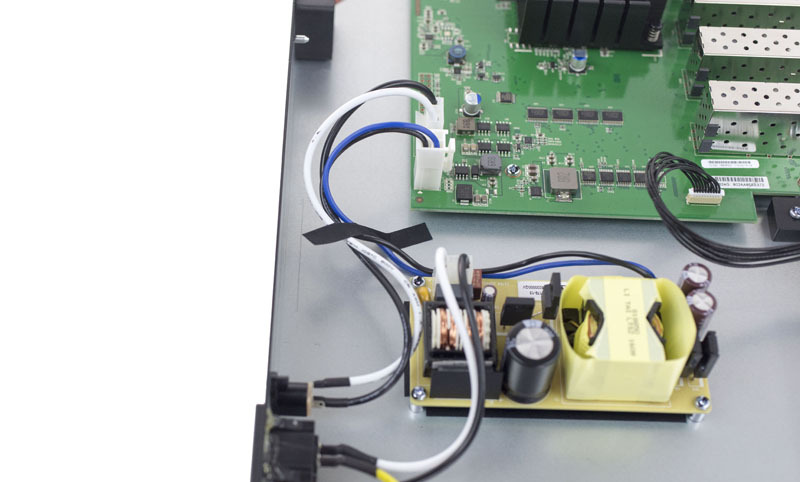 The PSU is simple but this is a relatively low power device. One of the adhesive tape strips was lifted and that is the same set of wires we could see poking through the rear gap of the unit. 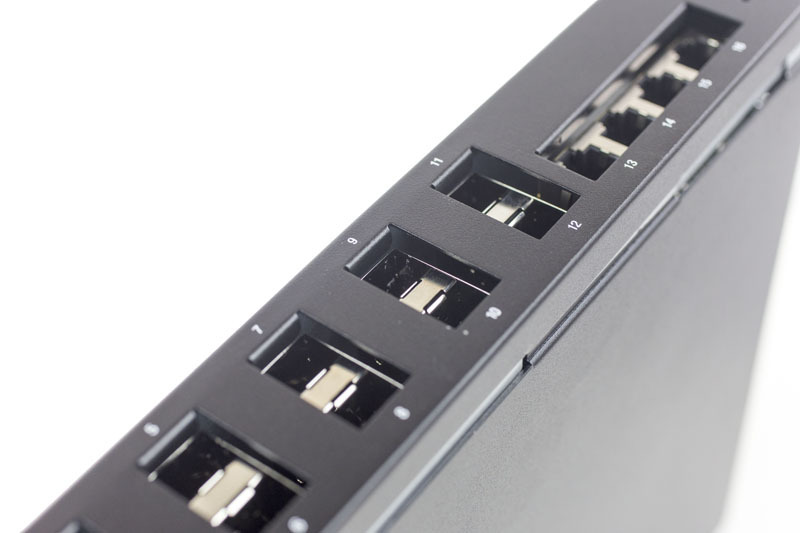 With the SFP+ and RJ-45 ports aligned the front of the unit is functional. We do prefer LEDs next to ports instead of offset but this is another commonly adopted indicator method and it is functional. The reset button being on the front of the switch does make it accessible when racked. With short depth switches, anything that is not front mounted can be difficult to access in full depth racks that are filled with other gear. Great placement on the reset switch. The rear of the switch once we fixed it aligned much better. We can see the cutouts for the two fans and a serial console port. The MAC address was printed on the rear of the unit. We would prefer this to be on the front so that one can access it when racked. The power ports are located in the rear. Interestingly enough, there are dual AC and DC power options and the manual stated these could be used to provide redundant power to the switch. We did not get to test this but that is a fairly high-end feature for a $600 MSRP switch. Overall, once we got the switch properly fitted it was physically functional. We connected the supplied power cable to our Extech power meter and saw the unit power up. We are accustomed to switches being simple plug-and-play devices. Sure the Arista and QCT 10GbE/ 40GbE switches we use in the STH data center lab require serial console cable setup or automated setup. Most lower end switches, especially ones with web interfaces can be connected to the network via a cable and configured immediately. Even our lab’s 1GbE switch, the QCT QuantaMesh T1048-LY4A has a web interface and can safely be plugged into a network and configured. This was not so with the Ubiquiti ES-16-XG. 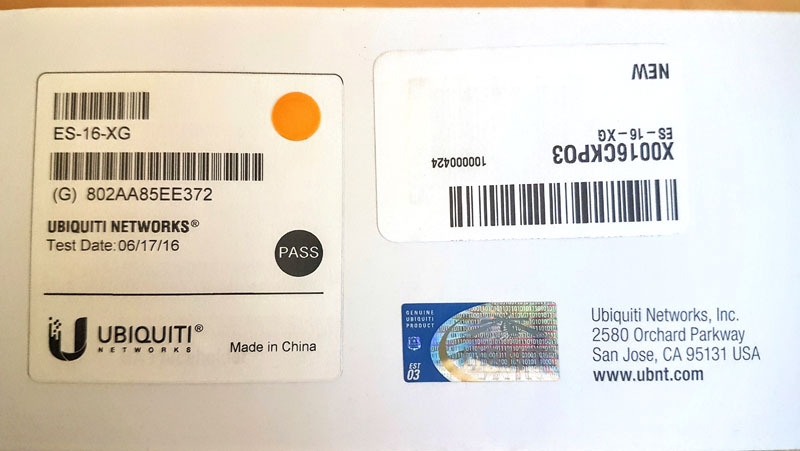 We connected port 16 using a standard RJ-45 cable to one of our office network’s Mikrotik CRS226 ports, powered the Ubiquiti ES-16-XG on and the entire network stopped running. The network has Dell, Mikrotik and Netgear switches, a pfSense firewall and Ubiquiti AC wireless access points installed. This same network probably sees at least one new network switch plugged in every other week and has done so for years without issue. 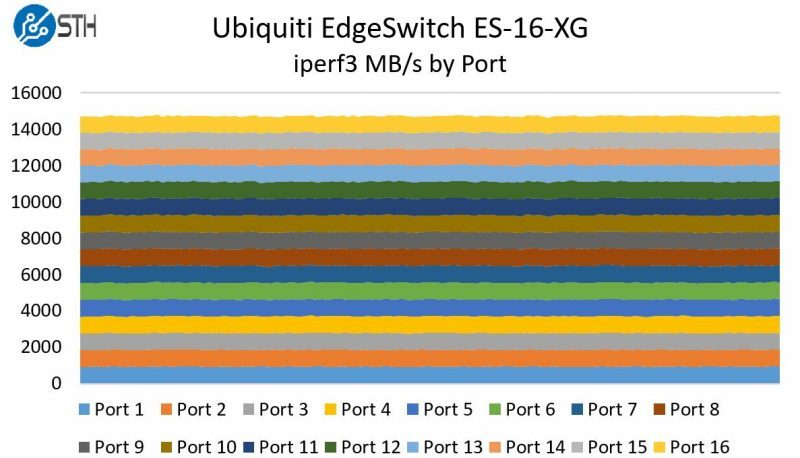 The Ubiquiti EdgeSwitch ES-16-XG was the first switch to bring the network down with a single 1GbE link live. Likely the switch caused an IP address conflict with our existing network and that was the root cause of the problem. Our advice is to configure the switch offline, especially if you are using the 192.168.1.0/24 address space. Most vendors will put switch products defaults on a different subnet to avoid this issue on a very popular private address range. Our unit had firmware 1.4 installed by default. Overall, the layout was fairly intuitive and worked both on lower resolution and higher resolution 4K displays without issue. 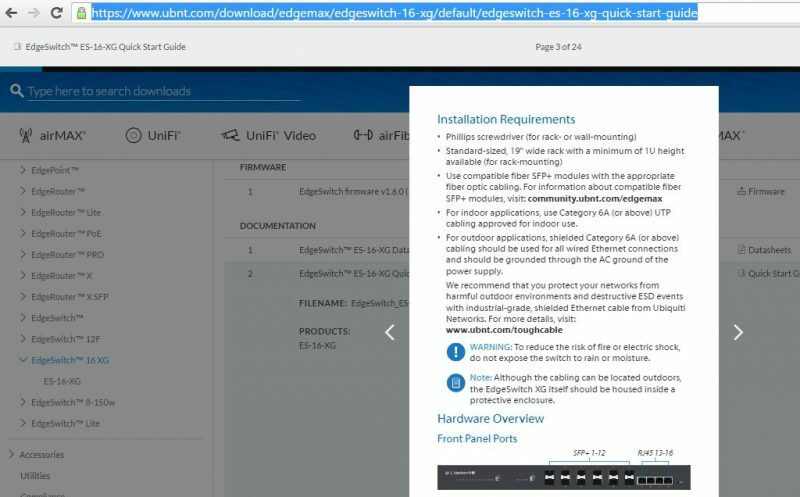 We did also make a video running through the various options on the Ubiquiti ES-16-XG but when we did so we ran into a few issues which caused us to try firmware version 1.6.0, the newest as of 28 August 2016. While there were options for many items, some of them simply did not work in an intuitive manner. Two basic examples are enabling HTTPS web management (which should be enabled by default) and enabling SSH console management. Going to System > Management Access > System then using the radio button for HTTPS Admin Mode one would expect would turn on HTTPS management. Instead we got a certificate error. Likewise we tried to enable Secure Shell access using the next radio button. 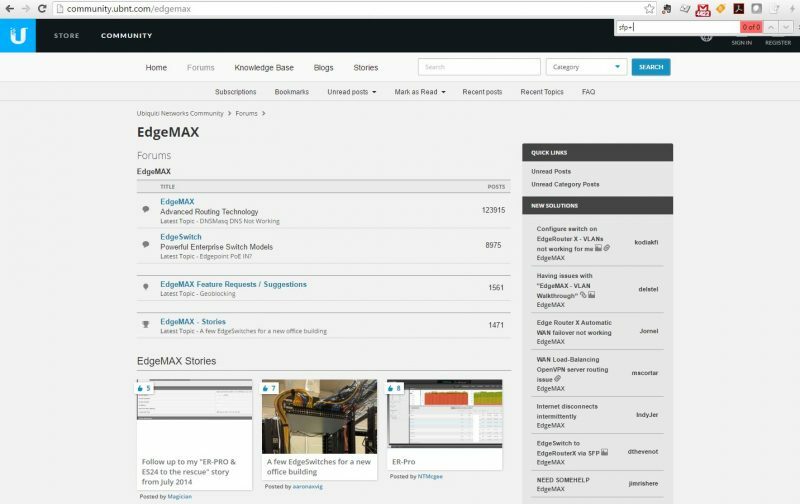 Here is our synopsis: the web management GUI looks great. It seems laid out well. But if turning on HTTPS web management mode is not intuitive, then then we do have to question how useful the web management is. We are a big fan of community support but the URL Ubiquiti provides for compatibility is community driven and has no information. 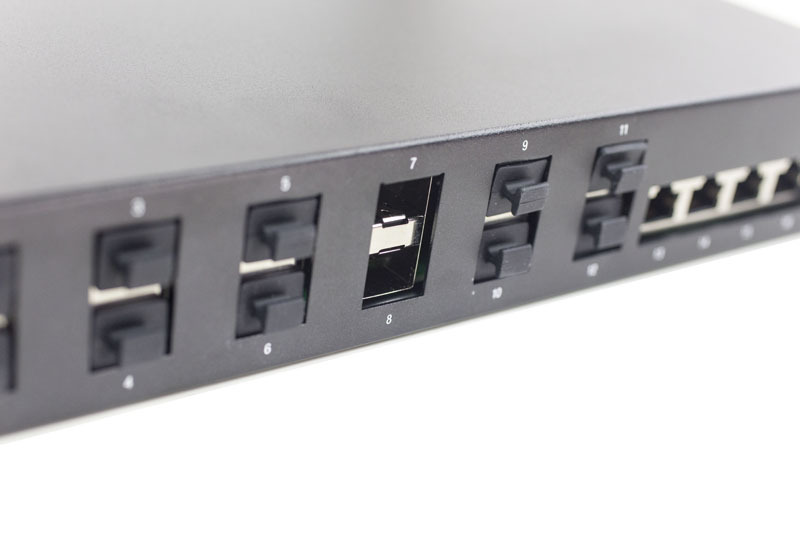 We started a STH Ubiquiti EdgeSwitch ES-16-XG SFP+ compatibility list since there are a number of STH forum members with these switches already. We did find a number of modules that did not work with the unit. Once the network was setup, we were able to create VLANs and do other basic setup tasks which appeared to work. Our key takeaway is to ensure you check SFP+ compatibility list first rather than blindly assume cables will work. To measure power consumption we utilized our Extech 380803 TrueRMS power meter using 120V power. These figures are excellent and compare well to other low port count 10GbE switches. To measure noise output we used our Extech 407764 NIST calibrated sound meter. In the data center, this is of little concern however for SMB offices and home labs, noise can be a factor. We observed noise in the 36-38dba range during our testing. Previous generations we have tested were well over 50dba. The ES-16-XG is quiet enough for an equipment closet but not something you would want next to you while on the phone. Overall performance was good and that speaks to the potential of the platform. The figures are a bit lower than what we have seen from higher-end data center switch ports but still solid results. There is probably a product manager at Ubiquiti that will see this and be extremely unhappy. Our apologies to that individual/ team. We receive hardware that is DOA from time to time. That happens when dealing with electronics. The primary problem we faced was of basic quality control. Ubiquiti is known for relying heavily on ODM partners for the design and manufacture of its products. Check Ubiquiti’s financial statements (e.g. R&D and SG&A lines) against its competitors and you can see how this works well for the company at a corporate level. We do wonder if our experience is symptomatic of this model. We are excited at the potential of this platform. A sub $50 per port 10GbE switch is something we desperately need. 10GbE switch port pricing has been too high for too long. Going forward, major server platforms are all going to support 10GbE. In a SOHO or SMB market, taking 15 minutes to fix the physical condition of the switch is not that bad. Frankly, we probably got a 1 in a million switch that was assembled at the factory’s closing time. Unfortunately this switch landed at a review site and was the second of thousands of products STH has reviewed that had this sort of major physical flaw. The web interface is functional for most tasks but probing beyond a superficial level found a few rough edges. Even given our experience, we cannot wait to see the future of this switch platform. Assuming you get a functional unit, and proper SFP+ modules, this is now the best price/ performance low port count 10GbE switch on the market, and by a large margin. It is certainly going to be the go-two switch for SOHO/ SMB 10GbE networking in the near future. We would strongly advise that if you recommend this switch to a colleague or client, you open the switch and inspect it privately not in view of the colleague or client to ensure it was properly assembled. We have STH forum members with these switches and they came properly assembled but the fact that our passed quality control is shocking. The first review on STH that is not a 9.x. I’m shocked. -My First ERL-3’s storage went bad, which I replaced. It also had one port that wouldn’t maintain gigabit connectivity. I ended up giving the thing away. -My second ERL-3 is currently sitting somewhere in San Jose, on RMA, because the DRAM is bad after only two months. -My UniFi AP was pretty terrible at first, but firmware updates have made it solid. -My UniFi AP-AC-Pro has been solid since day one. Either I’m extremely unlucky, or Ubiquiti is just trading on their once-deserved great reputation. I know I won’t be buying any more EdgeRouters though. All my ubiquiti gear has been rock solid and incredible value. What I will say is that they have EXTREMELY long lead times from when a product is announced and when it is available. Early on a “small few” units tend to get shipped out that seem more like…beta products. Rev 0.1 with Ubiquiti can be rough. I would recommend that anyone looking at their stuff wait until it matures. You can see this in their UniFi and EdgeRouter line especially. On the software side, Ubiquiti is more of a “slow game”. It’s constantly evolving and I would say 99.9% of the time for the better. These are some of the reasons I find that most review sites have real issue with Ubiquti gear, because they are getting units while stock is nearly non-existent and the software side still isn’t ironed out. While MOST costumers (unless they are diehard fans that really seek out getting the few units in retail) won’t get the units until it has matured enough to be a real functional product. FYI, go look at the EdgeRouter firmware changlogs since release…it’s mind blowing honestly. It’s not even the same product and does so much more. I suspect this unit will be the same. But does it support DCB/Lossless Switching? That’s the only thing that really matters in a 10G switch. Lossless, VLANs, and Radius Auth/Accounting. If you are reviewing a switch seriously, you should remove something like “AESTHETICS”. 99% people do not give a damn if a switch is the ugliest switch in the world as long as it works. 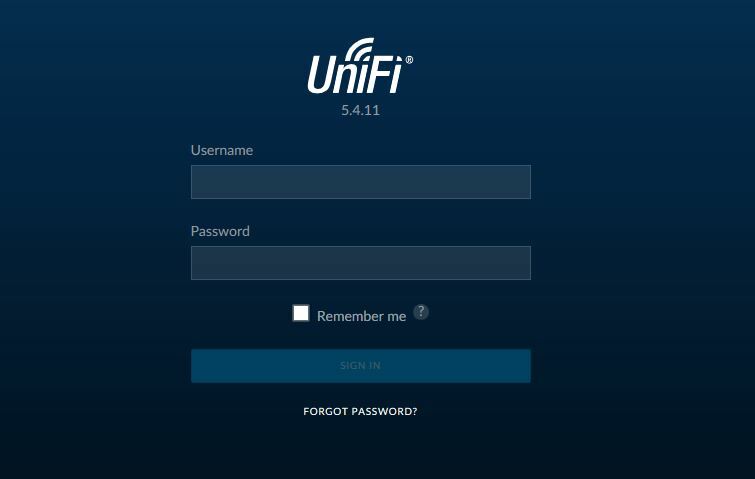 As far as the UniFi line is concerned, UBNT has been selling a promise to its customers for years. But never actually delivering, each new software release is two steps forwards and one, two or three steps back. Nothing gets fixed, properly. Somewhat worryingly, the development team appear to know nothing about networks, as opposed to network components, they assign network attributes to sites and vice-versa. Testing – don’t make me laugh, they haven’t a clue about that, apart from fundamental unit/component testing. But no scripts, no testing to known outcomes, no system for handling testing reports (beyond email). No testing metrics. The problems appear to be infectious, so that even when a single developer with a successful record of past achievement comes on board, not much changes, it is still tomorrow, tomorrow, tomorrow. It doesn’t matter how politely and discretely one reports issues, or makes suggestions, basic stuff, like what is the difference between a site and a network, or how networks are actually managed are ignored. It is all in the too hard basket. The “dashboard” that displays network activity is a joke, the values are entirely misleading. But it looks good in advertisements and attracts buyers. So having used their equipment since 2012, I packed it all up this year and switched to Juniper and Meraki. The only equipment I would consider using in future is from the AirMax range which is for Point To Point and Point To Multi-Point use. When I used a WISP service it was based on the UBNT PTP kit and it was a really good service, and still is. Tellingly, I offered the equipment to a couple of friends in the industry, they didn’t want it, even if I paid the postage. I shall keep it as a reminder.